The International Cricket Council (ICC) World Cup trophy arrived in Pakistan early on Thursday on the international leg of the Trophy Tour. The ‘Trophy Tour’ will visit three cities on its journey across Pakistan. 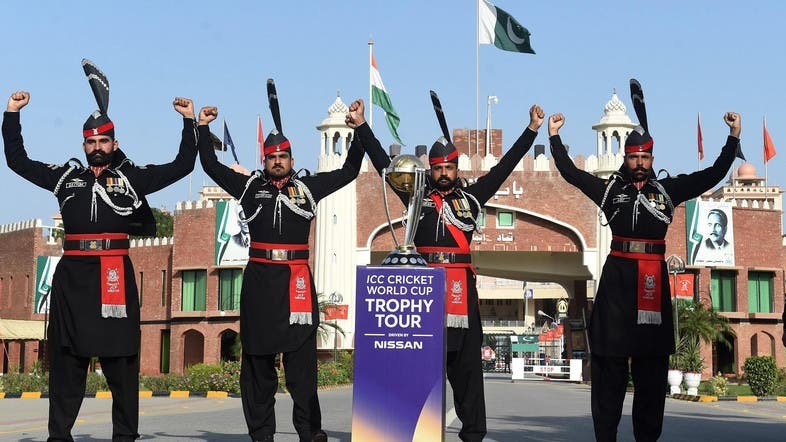 There will be an opportunity in the three Pakistani cities Islamabad, Lahore, and Karachi to see the trophy tour in action at the prime spots. There will also be a photo opportunity with the trophy along with player interaction. The much-awaited encounter of the tournament would be played between Pakistan and India on June 16. In Islamabad, the trophy arrives today and it would be displayed to cricket lovers on tomorrow. The trophy will arrive in Lahore on April 13, where hundreds of fans would have the experience to see it and avail an opportunity to take a selfie with it. The first match of the World Cup is to be played between Australia and South Africa. The much-awaited encounter of the tournament would be played between Pakistan and India on June 16. For Modi, it is now do or die!